I'm off to Gencon in a couple of days after taking a couple of years off. I don't have a rigidly structured agenda; a friend registered us for a bunch of roleplaying games, and I'm sure I'll get into one or two M:TG (Magic) tournaments with my buddy the Magic player. We'll have 8+ dads and kids out there, so there will be plenty to do. One of the things I'm going to check out in the expo area is the "Flat Plastic Miniatures" (FPM) booth. I got out of collecting miniatures several years ago, and was using wooden blocks when we needed to use a grid vs "theater of the mind" style resolution. I imagine other DM's are the same - based on the tactical complexity, and the amount of preparation that went into it, we'll decide on the spot whether to run combat on the grid or without miniatures. I do mix both styles. They feature hand drawn artwork, laser printed onto thin plastic, and inserted into a plastic base. The pieces feel way more durable than paper or cardboard, and they're a fraction of the cost of 3-D pre-painted miniatures (like the WOTC or Wizkids offerings). FPM might end up $.25 to $.33 per figure, while the (admittedly) beautiful official Wizkids pieces are $3-$4 per figure. So FPM is way more budget friendly (although not nearly as friendly as wooden blocks). When all is said and done, I'll probably spend a few hundred dollars to get a gigantic mini collection with the flat minis, whereas an equivalent collection of painted figures would be minimum several thousand dollars (and, you know, a divorce). You can get this type of zippered binder at an office supply store. Since the figures can easily slide out of the binder if it tilts upside down (a mini apocalypse), a zippered binder ensures you're not going to lose anything. The sleeves are card sleeves, available at a game store or baseball card shop. At some point the organization compulsion will take me over, and I'll put little label stickers on the sleeves to make it super organized. Visiting the Flat Plastic Miniatures booth at Gencon is one of my Gencon goals. They have a ton of sets I don't own, and maybe they'll have some Gencon deals? I saw LOTFP will be there as well, and I'm sure I'll do a bunch of board game demos too. Anyone else going, and what kind of stuff do you have planned? Here's the link to the store for the guys that sell Flat Plastic Miniatures: Arcknight. The store doesn't seem completely up to date, as they've been doing various Kickstarters and so forth. That's another reason I'm curious to see what's at their Gencon booth. Rewards affect your decision making. They increase your motivation to do things. The psychologists use terms like operant conditioning, and the theories have been leveraged by video game designers to create rewards-frameworks to keep you plugged in and playing. Reward-based thinking doesn't feel as obvious in the table top space, but it depends on how transparent the reward system is to the players. Old school game systems feature an experience point system where one gold piece (gp) equals one experience point (xp). Characters also get experience for fighting monsters. The ratio of experience from gold, versus experience from monsters, tends to be 3 to 1 or even 4 to 1 - meaning 75% or 80% of experience points in an old school game comes from treasure. Players figure this out really quickly - even new folks. Consider the old school "Dwimmermount" game I was running last year. After a particularly long Dwimmermount session, with lots of combats and encounters, the players eagerly waited to hear if their characters advanced in level. "Um, no, not this time fellas - you really didn't find any treasure on this delve, and that's where most of the experience comes from." Changes were made. The group prioritized getting a 'Locate Object' spell, and they used it in dungeon areas they cleared to help find hidden caches of treasure that were missed. They backtracked to previously cleared areas. Treasure was prioritized over fighting. The nature of the reward influenced their behavior. 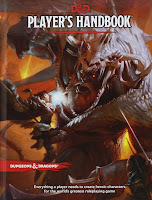 Fifth Edition is all about the fighting, at least by the book; apparently the fine print in the DMG suggests using other forms of XP, but it's not featured the way combat XP is featured. 5E's experience system has complicated my plan to run a free-form exploratory sandbox, knowing that the players are going to prioritize fighting everything in sight because that's how they get their treats. I was surprised this week to see the latest "Unearthed Arcana" article was about an alternative experience point model for 5E: Three-Pillar Experience. I like this alternative XP system quite a bit - it formalizes giving experience for exploring and winning important social encounters. UA materials are playtest level stuff, not finished products, but it's a good start. The rules suggest giving exploration experience for recovering items and finding special locations. Pundits in the OSR have frequently proposed methods of rewarding exploration as an end in itself, and now we have a workable version for 5E. (Good job Mearls. That guy has a warm spot in his heart for the OSR). The Three-Pillars also has guidelines for giving out social experience for achieving roleplaying goals in the game, like getting the support of an important patron or antagonist. I don't remember seeing this pop up in our space much, although it's not unheard of for DM's to give out some XP for 'defeating' monsters through diplomacy or guile. Of course there's XP for the combat stuff, too. Compared to an actual old school rules system, this Three-Pillars Experience design still puts a heavier emphasis on combat versus exploration or social, but it's step in the right direction. An entire game session focused on intrigue, or wandering the wilds looking for the Lost City, is still going to let the players improve their experience totals. There's still an open question whether monkeying with the XP system will actually change what player's do? The reward system needs to be transparent and create a link between the behavior and the reward. I believe all it will take is a few examples of pointing out that the players have earned experience when they discover legendary or fabled places, or recovered fabulous items, and the value of exploration and looting will come to the foreground in your 5E game. Since 5E is what my players are currently preferring, I like anything that brings 5E closer to the values we espouse running old school sandboxes and megadungeons. The alternative XP approach for 5E is "milestone" or "story-based" leveling. I struggle wrapping my head around that one. What is the causal link between character behavior and reward if it's based on a DM's arbitrary story awards? "Do what I want you to do, follow my plotted sequence, and I will reward you with levels?" That sounds awful, so I'm thinking it can't be right - clearly I have some bias. I took a look to see how folks responded to "Three-Pillar XP", and Reddit and Enworld are full of people loving on the milestone-based leveling and eschewing the very concept of experience points. So if anyone wants to offer a cogent defense for arbitrary leveling (perhaps in the comments) I'd love to hear the other side; the obvious reason that jumps to my mind is that the DM/author doesn't have time to run a normal paced campaign, and story-leveling gives them cover to power-up the group and get them where he/she wants them (fast). (Like in an adventure path type of campaign where page count matters, but everyone still needs to be level 10 for the boss fight). Regardless of all that, I'm glad to see 5E's stewards continue to develop rules to support playing the game like the old days. (We might be playing 5E, but we still use a caller and a mapper, too). UA recently had a new initiative system that had elements of weapon speed and segments, and it felt like a regular throwback to AD&D 1E. That one worked well at the table, too, so it's on my list to discuss. I've also heard there are some upcoming rules to make 5E a little grittier, some kind of "hard mode" that will be featured in Tomb of Annihilation. I ran some D&D this weekend. I've been scratching notes about a homebrew setting, "Illyria", in my travel journal, and patiently waiting for a time when I'd be able to spring D&D back on my crew. It's been quite a year so far, lots of 50-60 hour weeks, but the work assignment is stabilizing and I've only got a few more months to go before my schedule returns to a sane cadence. No one's getting younger, so this weekend we kicked off a new game. Players love the 5E. About a month ago, I asked the crew if we should pick up an older campaign, play LOTFP, ACKS, or 5E, and the response was universal for 5E. So I set to work establishing Illyria as a 5E sandbox type setting. I don't think 5E adventures or encounters are anywhere near as easy to prepare as the beloved old school clones. The rules on building encounters and planning experience stuff are byzantine, confusing, and too much work, particularly if your group is larger than the 4-5 characters the default rules assume you have at the table. Luckily, there are plenty of smart people who've been playing 5E with reckless abandon towards player safety, ignoring the obtuse encounter building rules, and maintaining old school sensibilities in their 5E games. I leveraged many of their ideas in preparing Illyria and will discuss them in the coming weeks. We had 8 players for the first game night, and several more in the queue, so I'd like to run the game in an episodic manner, to support drop-in / drop-out, or even alternating weeks (and have half the group come each week). Most of the players are dads and kids, so it's a basic fact that not everyone will make each session. I've had success running episodic games that were just focused on a megadungeon, since it was easy to start and end every session in the nearby home base. We'd just assemble a crew the following week based on who showed up on game night. I'm still considering the best way to do that in a game featuring travel and a hex crawl - if you have experience, I'd love to hear how you did it. That's enough statement of purpose for today. In the coming weeks, you'll have the chance to learn about Illyria, meet the cast of characters, and see how I'm doing running 5E with as much old school panache as one can muster. I've had a whirlwind travel schedule the past week (Chicago, LA, then London, then Kent, back to London tomorrow...) so it's taken me longer than I'd like to post a follow up to the blog. Theorycrafting is all well and good, but putting an idea down on paper as a concrete example is a much better vehicle to stress testing an idea to see if it has merit. With that in mind, consider this example of "quantum difficulty", the proposal from last post, that games like Skyrim ensure "no wasted content" by allowing the game engine to scale aspects of a quest or dungeon along with the player's power level so a locale is significant regardless of when the player finds it. I suffer putting humanoids into games; I'm always looking for ways to make them anything but knock-off humans in fuzzy man-suits living out in the wilds. In a campaign several years ago (Gothic Greyhawk), I made orcs cauldron-born hell-spawn; witches and warlocks, lawful evil clerics, created ritual hellfires that let them pull wriggling larva out of the coals of the fire, and grow them into full-sized orcs in a cauldron filled with pigs-blood and offal. Orcs in AD&D 1E were Lawful Evil, in line with these hellish origins - they are evil souls, reincarnated as orcs, and the pig's blood lends them their bizarre, porcine features. For this hypothetical quantum difficulty problem, I've populated my sandbox with a location called Brimstone Pass, and the orcs are a bog standard orc tribe (except their origin is as above and there are no orc babies lying around), and there's a handful of warlocks and witches who stoke the hellfires and make more orcs. The campaign features a version of the endless war between demons and devils, and the orcs are mining the Brimstone Mountains looking for the lost Demonomicon, to strike a blow against the demons. They enslave nearby villages and force people to work in their mines and quarries. Brimstone Pass and the Hellfire Orcs would appear right on the map from the beginning of the game, and the threat (and opportunity) of the location can be revealed in rumors right away. Such a standard orc tribe (using AD&D's wilderness rules) would provide a challenge that could keep lower level adventurers busy for a long time - ambushing orc hunting parties, planning prisoner raids, hit and run tactics; various asynchronous warfare tactics to compensate for the character's lack of numbers and power. However, by the time they hit the mid-levels and start having "Wands of Fireballs" and similar boom-sticks, a bunch of humanoids aren't much of a threat. Fireball and Level 5 is the great shifting point. The promise of Quantum Difficulty is that when I become so enamored with my idea - that Brimstone Pass and the Hellfire Orcs are absolutely brilliant, my bestest orc idea ever - it provides an option when higher level incarnations of the party finally pays attention to the malfeasance of those nasty orcs. (It is fair to say no referee should become enamored with their ideas, but I am a weak example and hold ideas in too high favor). The players have already surpassed the mid levels, or might even be high level characters. Assuming this is the player's first foray into Brimstone Pass, the referee does some "quantum leveling", and voila - the witches and warlocks are suddenly mid-level or high level casters; the tribe has the services of a powerful Lawful Evil dragon; actual devils spawn from the Hellfire pits; a high level campaign against Brimstone Pass could involve some of the powerful devils from 1E, like a Balor wrapped around the mountain peak (Night on Bald Mountain style). Consider some of the alternative ways to present Brimstone Pass. I could present it as originally stated, a standard orc tribe, supplemented by some lower level evil clerics (the heretofore mentioned witches and warlocks). If the players delay in dealing with the orcs until they're high level, so be it - they'll utterly destroy the lair with a furious magical assault and cleaving fighters, and enjoy the benefits of smashing a bunch of orcs when they're high level. As I said, so be it; that's a perk of being high level, you get to smash level 1 humanoid tribes. (And there's a message to you, Rudy - don't get so attached to your ideas, it's not 'actually' your game... time to straighten right out). Alternatively, I'm so fixated with the idea of devils and high level casters and the Balor of Brimstone Pass and Mussorgsky, that I choose it to be a capstone location for the entire campaign like the Mines of Bloodstone adventure, and immediately craft it as a dangerous locale for all but the doughtiest warriors and wizards. This is is fine, assuming I don't mind putting the content on the shelf until later in the campaign, and woe betides any low level characters that decide to assault Brimstone Pass... but that's why we foreshadow these things, no? Players need to pick up on the signs, better think of their future, and realize the big devil from Night on Bald Mountain lives up there. This is where a reflection on your own sandbox approach is worth considering; do you create sandbox locales in advance, knowing some of the sites will become obsolete as the player's become powerful and mighty? Do you let your 6th-7th level guys go off and mug goblins, or take lunch money from the kobolds? Or do you create hideously horrible locales in your sandbox right from the word go, knowing they spell instant death if a low level party misreads the signs and prosecutes a campaign against the locale? Like putting Tomb of Horrors right outside the village? (Which is kinda appealing, gotta say). I'd submit that both approaches are interesting; it might seem like a waste of table top time when high level guys go out back and beat up some goblins, but there's value in letting the players flex their power and absolutely destroy a low level encounter site once in a while. And who doesn't like having clearly marked danger zones right on the map as a skill tester? For these reasons, I'm not sure I'd actually employ quantum difficulty - this is a hypothetical discussion, after all. I can imagine circumstances where I have a vested interest in ensuring a locale is challenging (regardless of when the players encounter it) that I'd scale the location to fit the current campaign arc - low level, mid level, or high level. The other alternative is you just don't put the thing in the sandbox until it's the "right time" for the players to encounter it - rumors of orcish raiding parties and villagers carried off in the night only crop up at the point of the campaign where you've built Brimstone Pass to exist as a fitting adventure site. I tend to think most "just in time" referees don't bother with too much content creation in advance, so whatever they happen to make next is automagically a relevant encounter site for the party. Imagine this, Goldilocks, everywhere you go, you run into dungeons that aren't too hot, and aren't too cold, but they're just right. You have journeyed to the quantum world without realizing it. Further, I would only consider something like Quantum Difficulty for wilderness locales; when I build those giant megadungeons with levels, the logic of "dungeon level = danger level" trumps all other considerations, and one must adhere strictly to the classic scheme. I continue to be impressed by the open world nature of Skyrim (a popular console video game); there are 350 or so discoverable locations in the wilds, and 150 hand crafted dungeons waiting to be explored. Because it's an open world, the designers can't control the order in which you encounter the content; you could find a nearby dungeon early on, when you're low level, or keep missing it until you're powerful and skilled. If they lock in the content to a certain level, they risk boring players of powerful characters when they waltz through an early dungeon that was discovered later than expected. And they certainly don't want to block off certain dungeons by putting a sign out front, "low level monsters inside, wussy characters only..." or vice versa. The designers need to ensure players get their money's worth and have a chance to encounter all of the setting content in a player-determined order. Enter a concept I'm calling 'Quantum Difficulty'. The difficulty level of a certain dungeon isn't fully "locked in" until it's observed by a player that discovers the dungeon and enters it. Until that point, the dungeon exists in a realm of possibility, fluctuating through various potentialities until fixed in place by direct observation. This is a technique we can borrow for our table top games. First let's loop back to an earlier concept I called "the sandbox triangle". I've done a lot of project management in my career, and traditional project management texts use a term called 'the iron triangle' - on a project, you can't adjust time, scope, or quality, without making changes to the other points of the triangle. You can't build a bigger house without increasing the duration and cost, for instance. It's similar to an axiom in product development - the product can be good, fast, or cheap, pick two. It can be applied to RPG sandbox creation, the sandbox triangle. You can make a very detailed sandbox right from the start (high quality, with a big investment of time). Or you can do something sketched out at a high level, with a fraction of the time invested. But the relationship between the points is inexorable. You can't have high quality or high detail or give the players total freedom, without investment of a lot of time. Many referees do "just in time" development. They figure out where the players want to go next week at the end of the current session, and use the time in between game sessions to prepare "just in time". Overall scope is kept down, and time invested up front is also kept down. It's a pay as you go mentality; you can't cheat the triangle, but you can manage it. The alternative is to invest a lot of time developing detailed locations, and then pushing the players to encounter the content so the time isn't wasted. Quantum Difficulty provides a way to develop more content up front than pure "just in time" development, without falling into the trap of having to throw stuff out later that no longer fits the character levels. It means planning in advance how you might scale a location to be an appropriate challenge for higher level characters. It could be as simple as scaling the number of opponents, or use a more 'video game style' where the actual monsters change based on a hierarchy. For instance, Skyrim has weapon-wielding Norse zombies called draugr; as you become more powerful, you'll run into restless draugr, then draugr wights, and finally draugr deathlords. It's a bit corny, but works. 4E had shades of this style of monster scaling, whereas 5E's bounded accuracy makes it easier to just add on numbers to the encounter and scale horizontally instead of vertically. 5E clearly has quantum difficulty in the foreground - I've picked up a few 'Adventurer's League' adventures recently, and they provides explicit guides on scaling each encounter based on numbers and levels of the participants. 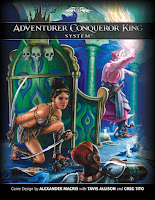 The adventurer's league provides guidelines on scaling the adventure within a narrow range of levels - scaling from a party of 2nd level characters to 4th level characters, for instance. Quantum difficulty anticipates scaling across much greater ranges. There are some important caveats to ensure this new power of "quantum difficulty" is used wisely. First, it can't violate game knowledge or established facts. There should be places established in the game world that are dangerous and deadly right from the start, and if low level characters choose to go there, they'll get squashed. The vampire's tower, the demon-haunted ruins, and the dragon's lair, should still be fatal to low level characters. Choices have consequences and quantum difficulty won't save the players from themselves. The key to having an engaging sandbox is sharing information so the players make informed decisions about where to go and what to do. Quantum difficulty can't undermine this core principle. Quantum difficulty shouldn't scale everything, either. Bandits are still bandits, and the players need to be able to smash weak opponents and feel a sense of real progress as they level up in the world. "Bosses" and key encounters can get scaled to provide appropriate challenges, but mooks are still mooks. Games where 15th level characters run into 15th level town guards drive me nuts. However, the pros outweigh the cons. You should populate the typical sandbox with 30-40 or so points of interest, and can pre-build maps and adventure sites, confident that you have a method for adjusting the difficulty when the players decide to visit the locale, without violating any principles of fair play. It also lets you put more locations right on the initial map for the players to consider, and that's a powerful draw for me. 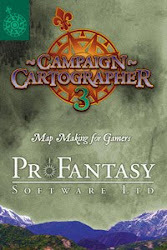 Particularly with more casual gamers, I like providing a detailed wilderness map with points of interest right on the map; using game time to make the players draw a map is one of my least favorite activities, since it's a 1 to 1 discussion between ref and mapper, and gives other players a reason to drift or get sucked into side conversations. I try to limit it to dungeon exploration only.